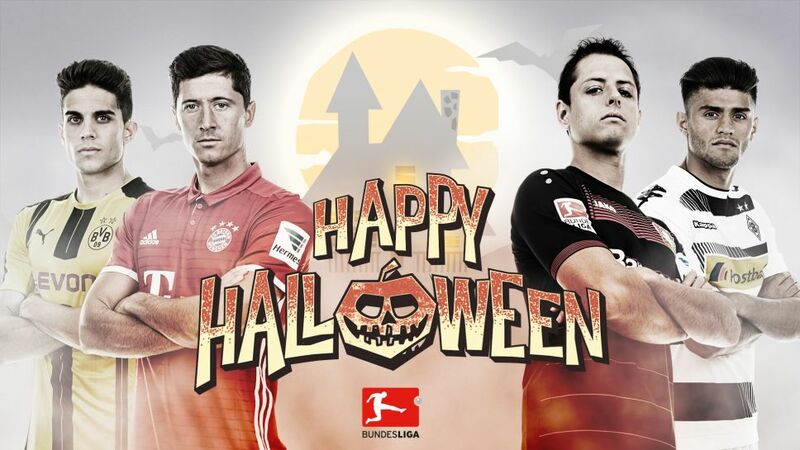 Did you get an Official Fantasy Bundesliga fright on Matchday 9? Learn your fate here! When your side is flying high at the top of the table, the last thing you want is for a sneaky little injury to creep up on you from behind. That's what happened to Javier Martinez during the first half of FC Bayern München's 3-1 win over FC Augsburg, and now he's out of the UEFA Champions League clash with PSV Eindhoven on Tuesday with a thigh strain. It all looked so innocuous at the time - maybe a black cat walked across unlucky Javi's path? A stay in a haunted house might seem preferable to watching their team for Hamburger SV fans right now. And it all seemed to be going well at 1. FC Köln when Anthony Modeste missed a penalty, but all the Red Shorts' defensive frailties came back to haunt them in the second half when Modeste made up for his error with a chillingly clinical hat-trick. Hamburg's Bobby Wood did his side no favours with a sly and needless elbow on Dominique Heintz, seeing a straight red card. And the look on coach Markus Gisdol's face as Wood made for the dressing room could have turned the USMNT striker to stone. Just when it seemed a win was theirs for the taking, the curse that seems to have been placed on VfL Wolfsburg's defending struck again against Bayer 04 Leverkusen. Admir Mehmedi's equaliser was still sending shivers down the spine when more hesitancy in the Wolves' backline allowed Tin Jedvaj in to seal a horrific few minutes for recently-installed coach Valerien Ismael.